This is a replacement for Xiaomi Redmi Note 4 MTK/ 4X 4GB MTK, When you have a damaged rear housing cover, you need it to replace. It comes with volume button + power button + camera lens. 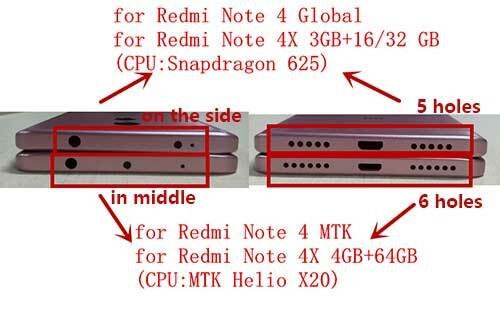 Note: the back cover for redmi note 4x / redmi note 4 has two versions, please choose the correct model before you order, you would find the difference in below picture.